Move in Ready! New to the market this 2414 Sq Ft. beautiful home is located in Caton Ridge , Situated on a lovely cove in the neighborhood and features include 4 large bedrooms plus a bonus second floor Media room/loft area, Combined living/dining room makes the room flexible for many uses, family room is open to the large updated kitchen, lots of cabinetry, all appliances included & walk-in pantry. The spacious Master bedroom features vaulted ceiling with plant ledge and walk-in closet, Full master bath w/ double sinks, 2nd floor laundry room. Big basement awaits your finishes, two car finished and insulated garage, a concrete patio w/ fenced-in backyard. South Plainfield High School District 202. Minutes to shopping and Dining! SchoolsClick map icons below to view information for schools near 6305 Cedar Ridge Dr Plainfield, IL 60586. Home for sale at 6305 Cedar Ridge Dr Plainfield, IL 60586. Description: The home at 6305 Cedar Ridge Dr Plainfield, IL 60586 with the MLS Number 10269062 is currently listed at $241,000 and has been on the Plainfield market for 71 days. 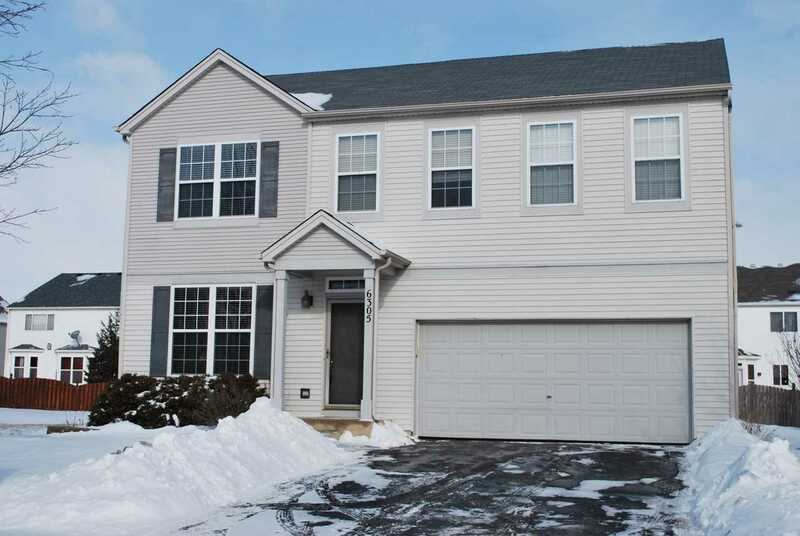 You are viewing the MLS property details of the home for sale at 6305 Cedar Ridge Dr Plainfield, IL 60586, which includes 4 bedrooms, 3 bathrooms and has approximately 2414 sq.ft. of living area.